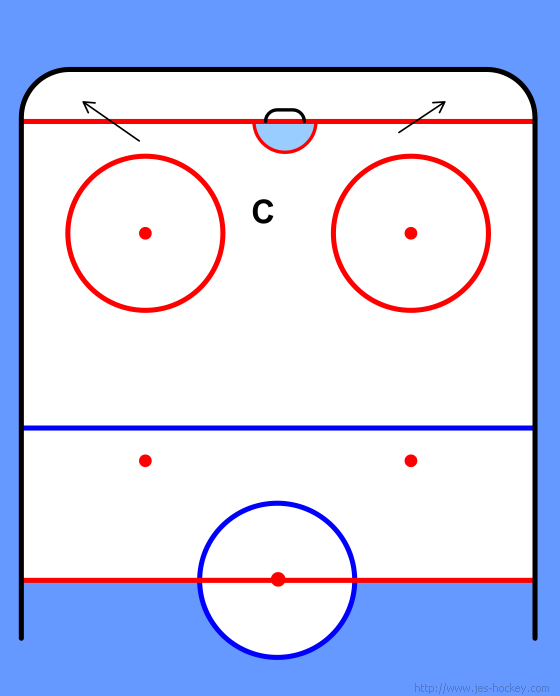 Wings need to be occupied with covering their respective points when puck is strong side. 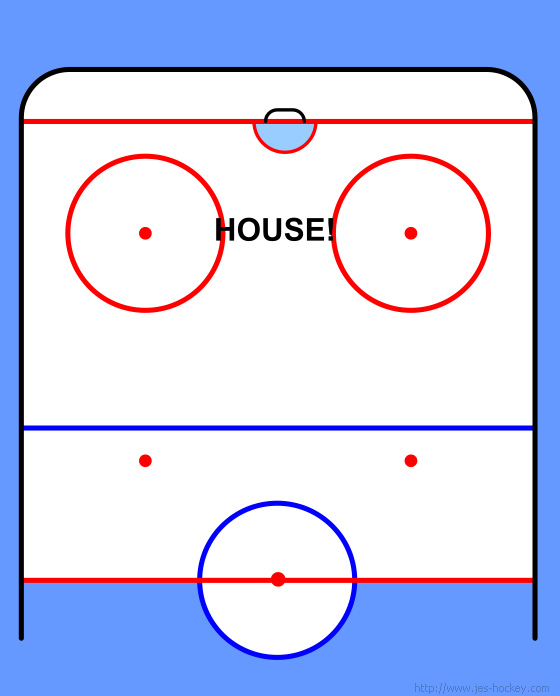 When puck is weak side they can occupy the high slot attempting to simultaneously pick up a high forward while also covering against a cross ice pass to the weak side D.
Centers are the "3rd D" with an emphasis on picking up the extra man in the house. 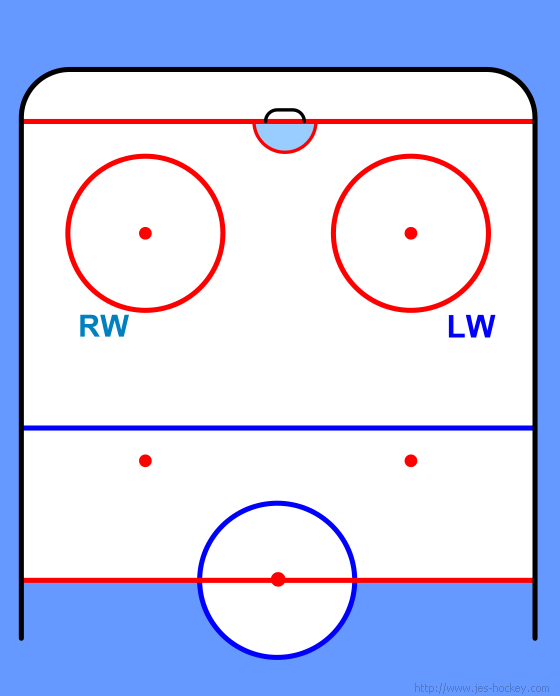 But they can also migrate into the corners as a 2nd man to pick up the loose puck. While there are always exceptions (like when you are covering for each other), D's need to occupy the territory in front of their nets and into their respective corners. Protect it at all costs! Clear everything and everybody out of here!